Movie Collector’s Wish List allows you to keep track of movies you desire, but don’t yet own. You can add movies directly to your wish list and quickly move them to your collection. You can quickly switch between your wish list and movies you already own using Movie Collector’s Collection Status tabs at the bottom of the main screen. 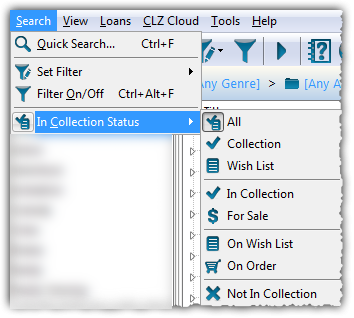 Sync your collection with CLZ Cloud to have your entire collection (including your wish list) viewable in your free CLZ Cloud or in your CLZ Movies iOS / Android app. 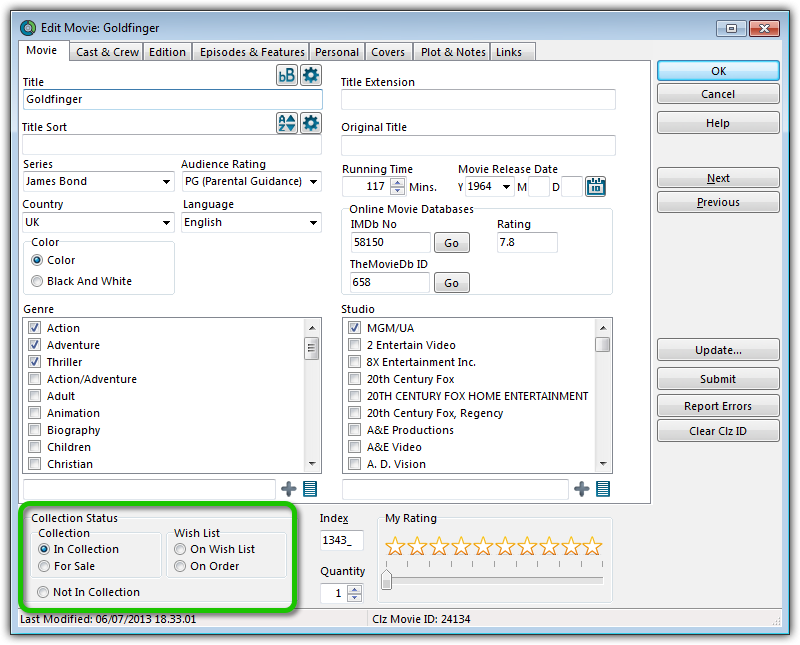 You can control the Collection Status of movies within your database using the Collection Status radio buttons, found at the bottom of the Add/Edit Movie screen. Alternatively, you can click menu Search > In Collection Status to view movies with a particular collection status. The easiest way to add movies to your Wish List is via the Add Movies Automatically screen. In the bottom right corner of the Add Automatically screen, you have two radio buttons. Use these to define whether a movie will be added to your collection or to your wish list. 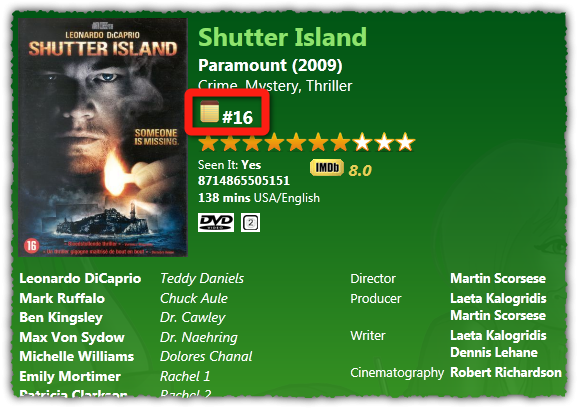 When you add a movie to your collection and put it on your wish list, an icon will appear next to the movie in your Main List as well as in the Details Panel. These are known as Collection Status Indicators. 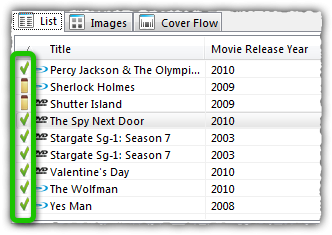 You can enable/disable the indicators from appearing in the main list using Movie Collector’s options. 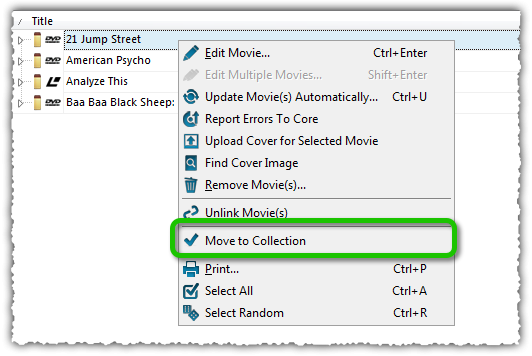 Open the Edit Movie screen and click the In Collection button under the Collection Status heading.